A number of interesting developments occurred in a short time in Mauritius. Of these, the oldest was the introduction of the NetPC by Mauritius Telecom. Recently, the Minister of IT and Communications of Mauritius, Mr. Etienne Sinatambou announced that a deal was made with AMD (yes, the CPU maker) to provide low-cost computers to Mauritius at around Rs.10,000 a machine. Again, not bad. It promises a low-cost “computer” for the masses, allowing people to have access to a number of softwares like Microsoft Office being one of them. Let’s see the softwares first. Microsoft Office Standard package. So no Microsoft Access. Which means your kid or yourself won’t probably be able to do your HSC computing project on the NetPC if you choose to use Microsoft Access as database platform. Most schools recommended Microsoft Access at HSC level for Paper 4 when I was at school. I don’t know if it’s still the same now, but MS Access is powerful. Internet Explorer 7? WTF! why not Firefox? I stopped using IE for around 4 years now and I don’t regret it. It was not intuitive to use for me. Lastly Adobe Acrobat Reader for reading your PDFs. I don’t see any software for playing multimedia like music and movies. Is it included? If it isn’t, don’t bother trying to install them. You can’t install your own softwares with the NetPC. This seriously limits the amount of tasks that can be done with it. Forget school computing projects as these require specialized applications. Forget tasks like image retouching or categorizing. You are stuck with what they give you and you can’t complain. Next the only 30 hours of Internet. For the rental of Rs.490, it’s not bad. But if you see it from another angle, it means 1 hour of Internet per day. It’s not enough for any kind of tasks, unless you just login to read newspapers. Students’ reference work take a lot of time and 30 hours won’t be enough. And yeah, you can get more hours, but it’s Rs. 0.5/minute. That makes Rs.30 / excess hour! Your bill will become seriously sour if you keep on using in excess of your 30 hours! Finally the 500MB disk space. Is that a joke? What do I do with less than a CD’s worth of storage capacity? Nowadays, 80GB hard-disks are barely enough to hold an average users’ data, and now 500MB? My old 486 PC had 500MB of hard disk space, and that was back in 1996! Downloading stuff with a 500MB hard disk is just pointless. So just plainly strike off downloading things with the NetPC’s capabilities. More MBs are available at Rs.10 / 100MB. Also, the hardware capabilities are limited, like the absence of Wifi for now, and the inability to attach some hardware like a scanner. Before you invest in the NetPC, be sure to read the FAQ well. The possible advantages are that it does not consume much electricity, so your electricity bills will be more gentle on you. It’s also more easy to use since you don’t have to actually install new updates for your (limited) softwares that the NetPC offers. Then your data is stored on a server, so no viruses and similar to be scared of. Who should benefit from the NetPC? People who make very light use of computers. For basic mail checking, typing a letter once a fortnight or so, create a Powerpoint presentation for school somewhat often and check some online newspapers and sites for less than one hour a day. Simply put, very basic tasks. Students (above CPE) probably won’t be able to make good use of it. And yeah, students like games (real games, not Solitaire! ), which will be impossible with the NetPC. Shah has some good ideas about how you can bypass the software limitations of the NetPC, but as he notes, use your 30 hours judiciously. Also, since the applications are online and since we have crappy connections here, expect the applications to show a definite lag at some points. However, there have been fears about AMD dumping old technology in Mauritius. We are going to have old, crappy machines at Rs.10,000. The possibility is there, but not confirmed yet. We can just wait and see what kind of computers we will have from AMDs. Aww I’m seriously looking for one of those Eee PCs! They are so cute and really practical! And are quite powerful at that, packing a lot of new technology at an affordable price. Basically, you get an ultra-mobile laptop, weighting less than 2Kg, with something like a 10″ screen. It’s not big. It won’t do gaming. But it’s really good for on-the-go work, and even for at-home computing. The Eee PC comes with 3 USB ports, so you can always attach more devices like a flash drive (pen drive) or an External DVD drive or scanner/printer if you need one. Seeing it has a VGA port, you can also attach an external monitor of bigger size if you don’t want the small 10″ something screen. Remember, you will still need peripherals with the NetPC, so expect to buy your own monitor and printer, etc… Wifi is enabled, unlike the NetPC. It comes installed with Linux, but is also compatible with Microsoft XP Home. It’s not a bad deal after all, when compared to the NetPC. You get more HD space (16GB vs 500MB) and it’s a Solid State Drive (SSD), which means silent operation and fast loading times. 1GB of RAM should be sufficient for XP or light Linux distros and for most tasks. And considering its size and weight, it’s very portable for bringing to school or university if needs be. You can then install additional software if you require. Of course, the bundled Linux distro comes with pre-installed applications like Open Office which should be sufficient for your uses. No viruses and spyware (Windows-oriented ones) to be scared of if you are using the bundled Linux distro. I firmly believe that the Asus Eee PC or probably any of those low-cost $100 laptops coming out now will be a real challenge for the NetPC. Even China may start offering really cheap laptops, just as it did for the Ipod, producing ok quality MP4 Players at a great price (~$100) and loads of features (AVI/RMVB playback?). 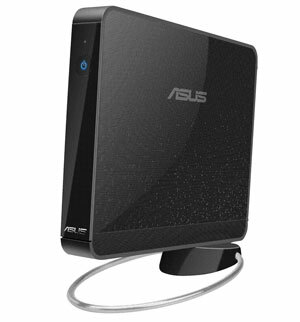 And yeah, if you don’t want the portability, but would like a cheap but performant computer with low footprint and energy-saving, you can still go for the Asus Eee Box priced around $350 on Amazon. It has a nice processor of around 1GHz, 1GB RAM, 80GB Hard Disk and some other good features, making it a great, low-cost machine. 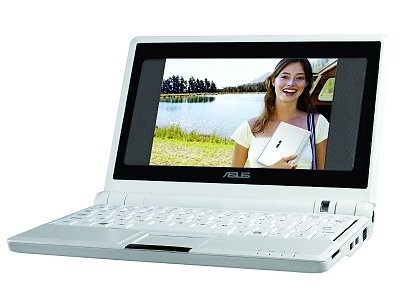 Note: According to an advert I recently saw in the Defi Plus newspaper of 9th August 2008, the Asus Eee PC and Box were available at Pascal Computers. The Eee PC started at Rs.11,000 and the Eee Box was at Rs.9500. Both prices are Vat Exc. Mind you, I’m NOT affiliated with Pascal Computers in any way. I’m just telling you where you can get an Eee if you need one in Mauritius. There is! You can still decide to build your own PC. IslandCrisis has an article about what you will need to build your own machine at a great price. I’d recommend similar specs so I can’t really add anything there. You can probably find better prices though, if you buy second-hand parts. However, there is an even cheaper alternative. I’d say around Rs.10,000 something. You are going to be buying loads of second-hand parts, and an old PC. It’s not for everybody, but you will get a machine that works well. An old/second-hand Pentium 3/4 machine which are retailing at around Rs.3000-6000 (processor, board, memory, other cards, HD, optical drive included) now. You can then upgrade the parts and make changes if you require. Find similar specs: 1GHz processor at least, 1GB RAM minimum, a compatible motherboard to plug in everything, 20GB something hard disk, a VGA/Graphics card, a soundcard, a keyboard, mouse, a monitor and a CD/DVD drive. That’s it! You now have a machine that you can work with, has all the applications you will need and at an affordable price. You just need to know how to find the lowest prices and be a good discount-seeker. The machine above may not be the fastest on the market, but it should do its job admirably. There is one thing to note though. Apart from the NetPC, all of the other solutions will require you to get an internet connection from an ISP. Depending on your budget, you might go for a 256K MyT connection at Rs.650/month, or any of the other ISPs’ offerings. This is your choice. But at least you will get unlimited usage with most packages, unlike the NetPC’s 30 hours limit. That’s about it for my article about low-cost solutions to a computer in every Mauritian home. There are many solutions, some of which I may not have mentioned. You are free to share your comments with us, if you have more solutions to the problems. However, before you buy anything, you need to research it properly to see if this is what you need. For my part, I give frak of Hardware. It depends on the platform I’ve to use for software development. Say, I’ve to run the upcoming Oracle Fusion, I’d pick the ‘low-cost AMDs’ with a few upgrades (mainly memory.) I’m no PC gamer but the same applies to one – the requirements of the games will determine the hardware to be bought. The most appealing in the list remains the EEe with Mandriva. It’s kinda cute. Does it come in pink? Just wondering. Very nice article. I would just like to add a couple of things to the above concenring the NetPC. First of all the NetPC storage capacity. There are 2 storage options: a) Remote storage capacity which is 500 MB where your files are stored and backup regularly on MT remote File Server and can be accessed from anywhere using a NetPC with your login and password b) Local Storage: if you need more storage space, this can be extended by using local affordable USB pen drive (1 GB, 2 GB etc) which can be readily found on the market and is practical for transferring and moving around with your document. Also the NetPC supports external Hard disk which can be connected to the USB port. This can additionally extends the storage capacity of your NetPC and both the pen drive and external hard disk can be used to store super confidential documents locally (and not on the remote storage). – As far as video playing is concerned, once in the windows environment, you can fire up the windows media player for viewing your media clip. Indeed the NetPC is not here to replace the normal PC but is somewhow a way to start in the world of computing for beginners and other people who are fed up with hardware crash, viruses, upgrades, software updates whose principal needs are, as 80% of users, Word processing, Spreadsheet, Internet Surfing and email. For the advanced users, doing heavy gaming, using database tool and programming then optioning for a normal PC is the best option. It is worth noting that at MT the current dialup offer for 25 Hrs dialup connection is Rs 550 per month (Rs 450 + Rs 100 Access Fee) and with NetPC you are having 30 Hrs Broadband Access for only Rs 490 (VAT incl.) as well as access to license Microsoft Software with all future upgrades and updates, virus protection etc. Very nice article and thanks for linking back. I posted a comment here some 1 week ago i think…but u didnt get it? i don’t see it here. @ hannibal: Yea its true we can get more storage space with a pen drive…but i wonder how much at how much cost. I don’t really think even 1 4 GB pendrive would be enough nowadays and forget about buying and external HD coz it wld have been better to add the money and buy a simple PC in this case. I have also got some reports from “someone” who just bought the net PC even though i had tell him not to buy…that the applications are sometime SLOW and also stop responding for useless reasons! I cannot confirm as I dnt have the net PC but it is a complaint i got. Hi. Hey buddy i posted..i guess two comments here…but i dnt see them here. I guess it was marked as spam?? I never mark legitimate comments as spam, even if they are critical towards my post! I’m open to criticism. Its just that Uni just resumed, and my course is being a bit heavy this year. And having a big bad cold doesn’t make things any better. I wasn’t able to login to GS to approve the comments, so sorry! As I said in the article, the NetPC is for very basic uses only. Like something on the IC3 level or below. For something more serious, you will have to choose something else until the NetPC offer improves.